The second of three guitar concerts presented for National Hispanic Heritage Month. 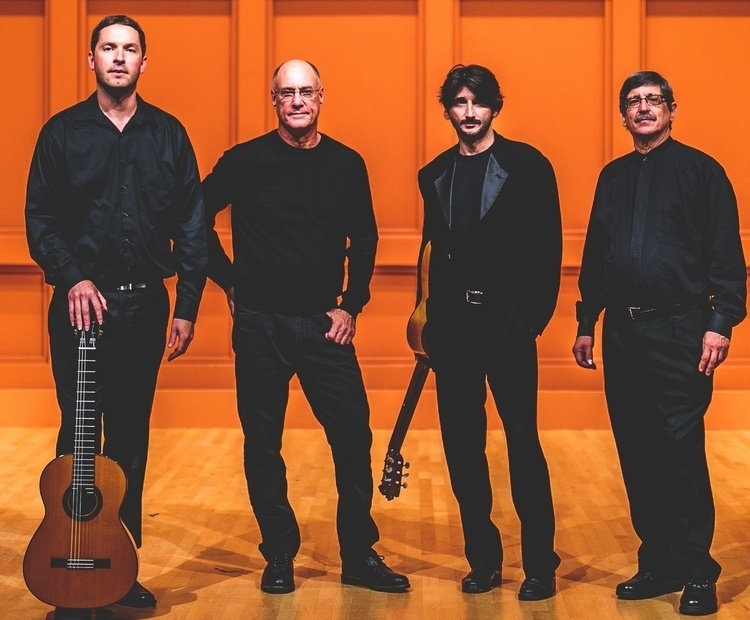 This concert features the North Carolina Guitar Quartet, comprised of guitartists Elliot Frank, Justin Hoke, Robert Nathanson and Ed Stephenson. The ECU School of Music celebrates National Hispanic Heritage Month this fall with three guest artist recitals, including guitarist Adam Kossler on September 18, the North Carolina Guitar Quartet on September 26 and Duo Guitiano, featuring guitarist Carlos Castilla and pianist Amanda Virelles, on October 2. The concert series features composed and arranged guitar music of vibrancy and intensity by Spanish and Latin American composers. The works draw on the diverse cultural influences that go into Spanish and Latin styles.